This is a high quality, ‘Select Mix’ of 32-35 cm Japanese koi from the breeder Kawakami. This ‘Select Mix’ of Nisai (2 year old) koi are hand picked by the breeder and are excellent quality. Kase Koi Farm – is run by Kiyoshi Kase in the Nagaoka region. 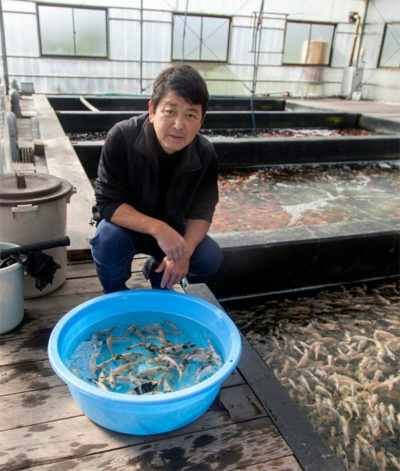 They breed several varieties of high quality koi here, but may be most well known as innovators and creators of new varieties of koi. They are the original creators of two beautiful varieties: Ginga and Beni Kumonryu and continue to work on stabilizing new varieties. 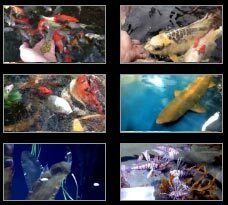 The varieties of koi they are most well know for are Showa, Doitsu Sanke, Kohaku, Goshiki, Ginga and Beni Kumonryu.